At long last, the Huawei Enjoy 6 has been officially launched but currently available in China. Huawei Enjoy 6 has a 5inches AMOLED screen display with 720p resolution and designed in full metal body with a fingerprint scanner located at the back. Huawei Enjoy 6 runs on Android 6.0 Marshmallow straight out of the box, with Emotion UI 4.1. The phone has support for external SD Card, packs 3GB of RAM, powered by a MediaTek MT6750 chipset (octa-core CPU). It packs a cool battery capacity of 4100mAh, has support for 4G LTE service and VoLTE. Huawei Enjoy 6 is a Dual Sim phone, and also, there's a 13MP rear camera (f/2.2 lens) and a 5MP selfie camera on the front. 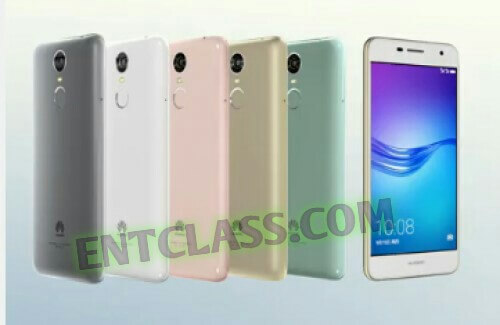 Huawei Enjoy 6 came in different colors option, which includes Pink, White, Gold, Blue and Gray. Though, Huawei has plans to launch this device outside China. Meanwhile, sales of this device will commence on November 1 at the price of CNY 1,300, which is equivalent to $190 / €175. Which should I go for? Infinix Note 2 LTE or Note 3. I will advice you to go for Infinix Note 2, the 2GB RAM version. It support 4G service but Note 3 doesn't. I think its exciting for Huawei to have this release. It would be even cooler if they started using metabase with their mobile devices. Thanks Dennis, for stopping by.